Driven by Purpose, Destined for Change is a heartwarming, candid and frank biography of one of Singapore's most prominent entrepreneur and multi-hyphenate, Elim Chew. Elim shares her lesser known familial histories, pangs of growing up, days of being wild, history of retail icon 77th Street, social enterprise, youth mentorships as well as her latest love, fishing. 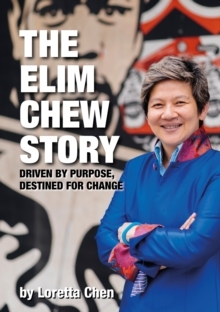 Through the book, we get a deeper understanding of who multi-hyphenate Elim Chew really is, get to share in and learn from her community leadership, business experiences, unique perspective on life and a whole lot of Singlish. 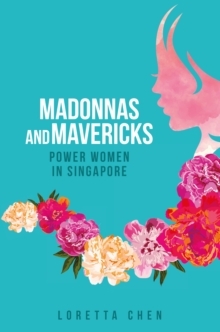 She also provides insight in to newly independent Singapore in the 1970s as well as an insider's glimpse into pop culture in the rocking 1980s and 1990s. You will also get to know more of Elim's hair-raising past, present motivations and future visions. The book is written with reflections, take away lessons, engaging entrepreneurial tips and activities for anyone who wishes to be Driven by Purpose and Destined for Change.